Reena Jana helps Google hire more women, veterans, minorities and people from the LGBTQ community — both inside the company and out. 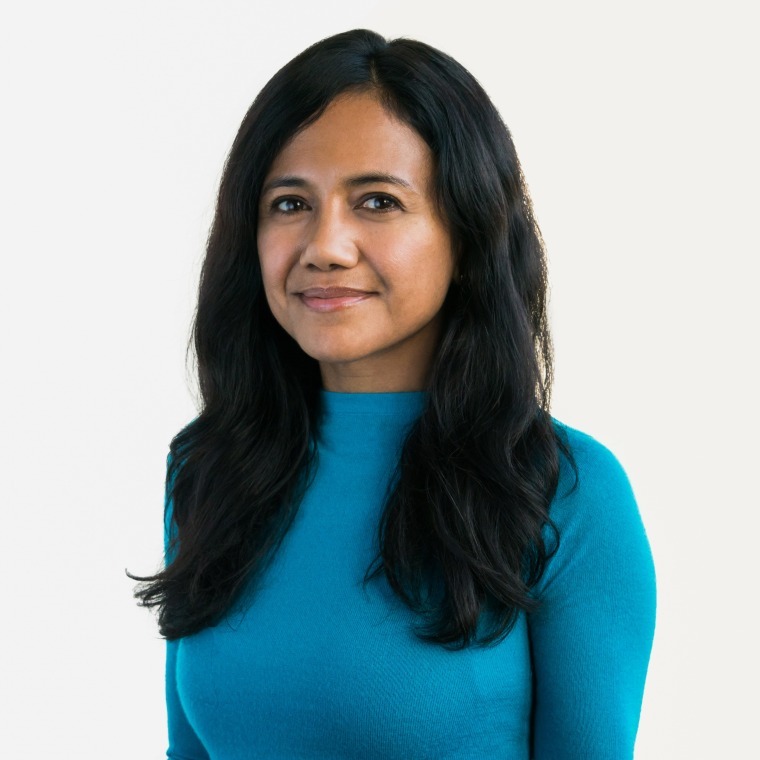 Reena Jana is helping Google grow their supplier diversity by consciously choosing minority-and-women-led small businesses to purchase goods and services from. As more top companies create diversity and inclusion programs, both Apple and Google have hired more women and underrepresented minorities, although the majority of employees at both technology giants remain men who are white. Universities, health care companies, airlines, and school systems, among other nonprofits and industries, have long had diversity and inclusion policies and officers to attract staff that that reflects the country (now 40 percent non-white). But that goal remains challenging in professions such as tech or the arts, which employ fewer women and minorities, particularly in leadership positions. So top companies like Google are doing more than focusing on recruiting to develop a diverse workforce. They’re looking beyond hiring to think about retention, from getting people of different backgrounds in the door to keeping them there. And they are working on supplier diversity — that is, consciously choosing minority-and-women-led small businesses to purchase goods and services from. Large companies with corporate boards that include women show higher returns than those with none, while diversity in the office also helps increase productivity and profits. Hiring, retaining and promoting the work of those who don’t already dominate a field has benefits both for the bottom line and their clients, whether they be users of Google products or students. In schools, for instance, several recent studies have found that simply having an African-American teacher can help black students receive higher grades and graduate from school; minority students also see grade gains when the course content reflects their experiences. And large companies with corporate boards that include women show higher returns than those with none, while diversity in the office also helps increase productivity and profits. We sat down with Google’s creative lead of business inclusion, Reena Jana, to talk about what business inclusion means today and how anyone can be more inclusive at the office. What do you do for Google? JANA: I work on developing narratives that support our business inclusion portfolio program. That includes our digital coaches who work in nine cities with diverse business owners and entrepreneurs; the coaches teach digital marketing workshops [as part of] Accelerate with Google, a worldwide program that enables any Googler [Google employee] to host workshops in digital literacy to underrepresented communities. I also consult on inclusive design and work with the small business vendor program. Googlers are encouraged to hire businesses led by women, veterans, minorities or people from the LGBTQ communities for everything from providing granola in the cafes to manufacturing desks for engineers in Mountain View. Googlers are encouraged to hire businesses led by women, veterans, minorities, or people from the LGBTQ communities for everything from providing granola in the cafes to manufacturing desks. What does it mean to develop narratives? JANA: When we started the coaches program, we were hearing great examples of what was happening at a library in Los Angeles or great hands-on advice from a coach in Miami, such as the first steps to take in digital marketing. We put their voices in an email newsletter for people who couldn’t make it to the events and created a print publication for these community events. We are trying to find ways for people in the community to have a voice. When you are dealing with communities who are underrepresented online, you have to think about the audience — and that may involve print materials at first. How does the digital divide affect these communities? JANA: In the United States, Black and Latinx entrepreneur and small businesses are growing at a faster rate offline than those from majority groups. But more people from those communities [up to 50%, according to Google and Pew Research Center] are not online. These growing businesses don’t have equitable access to technology. So [getting online is good] for their businesses and their communities. Google’s economic impact report says every dollar spent on advertising online generates $8 in economic activity for their community. As those businesses are growing offline, they are missing opportunities to grow. If communities are not online, we are also not addressing their needs in terms of digital service, such as on Youtube or in Adwords. Some users want to have something recommended by someone that they trust in their communities, for instance, rather than an expert. Black and Latinx entrepreneur and small businesses are growing at a faster rate offline than those from majority groups. But more people from those communities are not online. What work have you been proudest of so far? JANA: Getting the word out on Googler-led workshops [for small business entrepreneurs] and seeing these programs scale to a national and global level very quickly has been very rewarding. That spread very quickly in the last year through the power of the narrative and storytelling about the programs’ benefits. What are some tips for supporting diversity in our own jobs? Have a plan for including everyone. Structure meetings where you make it easy for different points of view to be at the table. There’s always a check-in and everybody gets their time to talk — you can time it and work it into the structure. It feels less formal and more natural. Encourage colleagues to pursue work that’s important to them. Make sure that people have a safe space to pursue work in their community, to bring their whole selves to work and participate in their communities as well. There might be a lot of community knowledge on your team. Use data. A McKinsey study looked at companies with diverse teams and found that they perform better financially. Arming yourself with data can be very helpful. Focus on user-centered design. Diversity and inclusion is about creating better user experience, whether the user is an employee or a consumer or a reader. Human-centered design is relatable.